It's so easy to fall into the trap of comparing yourself to other people in your life. It's hard not to feel jealous of the young woman in your yoga class who can touch her toes effortlessly, or your teenage daughter who can slouch lazily on the sofa for hours and never feel stiff and sore when she gets up again. But comparing yourself to others, especially in an exercise class, is a recipe for disaster. Fitness is not a competition with the people around you--only with yourself. Your body is unique and the minute you push it too hard to live up to an artificial standard is the minute you end up with a painful injury. If you're using exercise to alleviate the pain of a chronic condition like arthritis, this lesson is even more important for you. Pushing yourself too hard will do more harm than good and will likely derail all your positive efforts. Not everyone was meant to be a marathon runner--and that's OK. What's not OK is feeling bad about yourself because every time you try to run, take a CrossFit class, go mountain biking or whatever, you end up injured or in so much pain that you have to take a week off from all activity to recover. Instead, focus on fitness that actually makes you feel good, that you can do several times a week and that leaves you feeling refreshed instead of sore and exhausted. Is jogging hard on your knees? Try swimming instead. Does a weight-lifting class move too quickly for you, causing you to use bad form? Work one-on-one with a trainer instead. Just because your best friend risks life and limb to tackle treacherous trails on her bike doesn't mean you can't enjoy a flat, paved path on yours. When you find the right kind of exercise for you, your body and your orthopedist will thank you. If you're willing to listen, your body will speak volumes. Pain is your body's way of telling you that something is wrong. It could be a clue that you're not using good form or that you're pushing yourself too hard, too fast. It could even be a hint that there's a serious underlying condition that you need to seek treatment for. But if you get stuck on the "no pain, no gain" fallacy, you'll ignore these signs and miss the opportunity to learn how to exercise safely and to take care of your health. Almost any exercise can be modified to fit your current level of fitness, strength and flexibility. Can't do a full push-up? Do them on your knees. Can't touch your toes? Reach for your shins, instead. Any qualified fitness instructor will be able to help you modify a routine to meet your unique needs. While exercise is a crucial component of fitness, so is adequate rest. If you don't give your muscles enough time to recover between workouts, they won't be able to repair themselves and get stronger. Instead, they may actually start to break down. But rest doesn't have to mean sitting on the couch watching TV. Active recovery is an essential part of a fitness plan and consists of any light activity that gets you moving without experiencing any pain or fatigue, such as a stroll around the neighborhood. Your fitness schedule may include some form of exercise every day, but if you're experiencing any kind of pain, a break may be just what your body needs in order to recover. Don't get hung up on a box you need to check off for your own perfectionism! Take a break so you can feel better and get the full benefits of your workouts. If there's one thing recovery from an injury will teach you is that you have to be patient. It's so tempting to jump right back to your normal workout intensity after you've been sidelined for a week. But if you don't build back up gradually, you'll likely reinjure yourself and end up right back where you started. It's easy to get stuck in a fitness rut, using the same cardio machine over and over or taking the same kind of class every week. But when you hurt yourself, it could be your body's way of telling you that you're stuck in a rut and it's time to try something new. Maybe you've damaged your knee from pounding the pavement for too long. Just because your doctor recommends you stay off of it for several weeks doesn't mean you have to stop moving entirely. Now would be the perfect time to check out your gym's water exercise program. If your back problem is flaring up, try out the recumbent stationery bike that's gathering dust in the corner. You might be surprised by how many calories using neglected muscles can burn. It's easy for the body to get used to common activities, so use pain as an excuse to challenge yourself with something totally new. No matter how well trained they are, no fitness professional can ever know your body better than you do (if you listen to what it's trying to tell you). When you're recovering from an injury or dealing with a chronic condition, it's up to you to communicate with doctors, therapists and instructors about what you can and can't comfortably do. A good instructor will be able to offer you modified movements that will protect your painful muscles and even show you exercises that will support your recovery. No one should ever make you feel bad about not doing something that makes you uncomfortable. You may also need to speak up for yourself when it comes to family and friends. They have no way of knowing what level of pain you're in unless you tell them. Often, the journey to health and fitness can be a lonely one. It's easy to find support online, but it can be tough to find the same kind of support in our everyday lives. When we're in pain, it's crucial that we find ways to ask for help from our friends, family and medical professionals. Asking for help is not a sign of weakness. It's a sign that you're listening to your body and being extremely honest with yourself and others about what you need. No one can read your mind. If you're too tired and sore to do the laundry this week, you may have to ask your daughter or your husband to do it. If your pain has persisted for more than week, you may need to go see a doctor. The sooner you ask for help, the sooner you can start to feel better! Has your knee been twinging lately when you're on the treadmill? Or maybe your back has been extra stiff in the mornings. These kinds of small aches and pains are easy to ignore, but may be the first signs of a serious problem down the road. If you listen carefully to your body and take pain seriously, you can prevent big problems from ever happening in the first place. The solution could be as simple as replacing your worn-out gym shoes with a new pair, or consulting a trainer about proper weight-lifting form. If small fixes don't solve the problem, you might want to check in with your doctor. It's always better to be safe than sorry. If you hurt yourself or find yourself in pain for any reason, it's easy to beat yourself up about it. 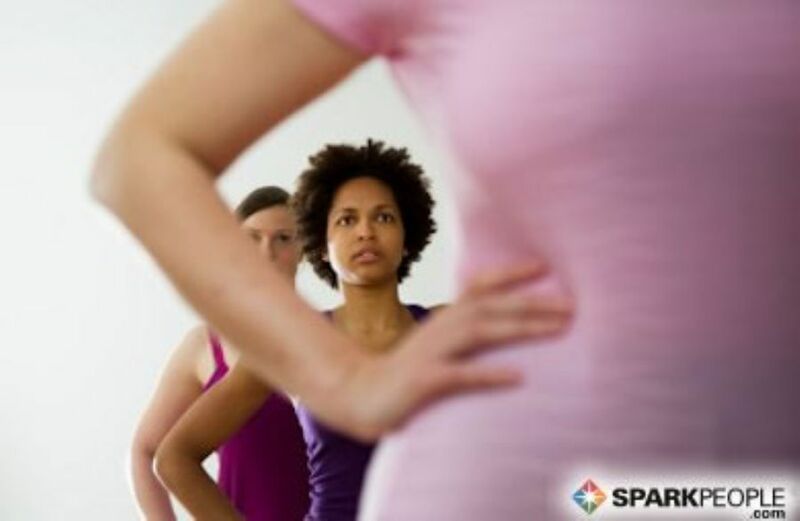 You might feel guilty for ignoring your sore hip or for pushing yourself too hard in class because the woman beside you was using heavier weights. But feeling guilty isn't going to make you feel better. Instead, practice being kind to yourself in thought and action. Allow your body the time it needs to heal and chalk the experience up to a learning opportunity. Imagine how you would talk to a child who fell down and hurt herself. That's exactly how you should talk to yourself when you're in pain. Cut yourself some slack, recover and get back on your fitness program. Resolve to listen to your body in the future and forgive yourself when you forget to. Life is a long journey, and you can be your own best ally if you practice kindness toward yourself. When you experience pain, whether from an injury or a chronic condition, it's normal to ask "why me?," especially if you've been working hard to make healthy lifestyle changes. It can feel totally unfair when the running program you started a few weeks ago has led to a pulled muscle or, even worse, when you receive a diagnosis of a difficult condition like fibromyalgia or arthritis. But in order to heal or learn to manage the pain, you have to let go of the anger and find a way to see pain in a more positive light. 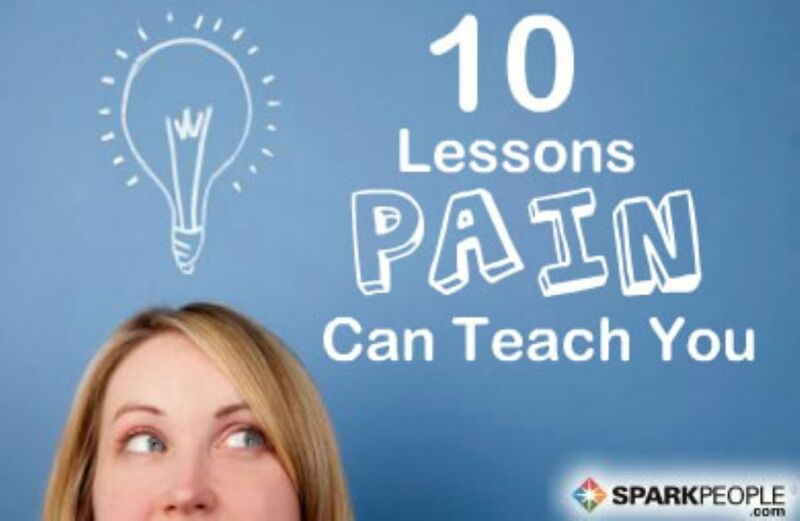 Here are 10 important lessons your body can teach you if you listen carefully to your pain.